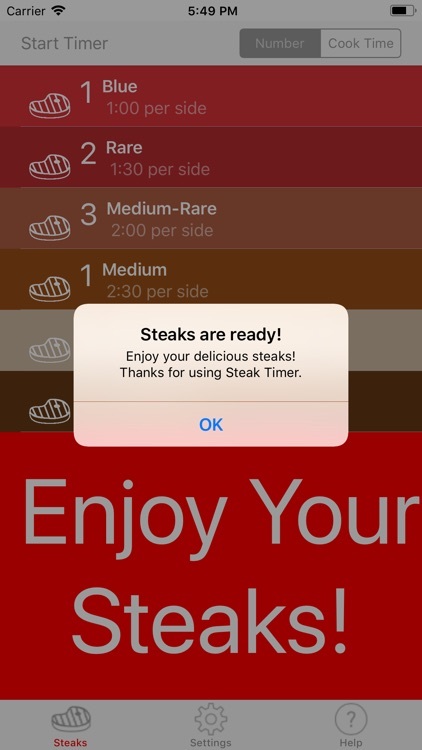 Steak Timer is the essential app for steak lovers and steak novices alike. 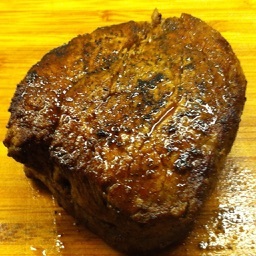 Get cooking tasty steaks on these long winter nights! 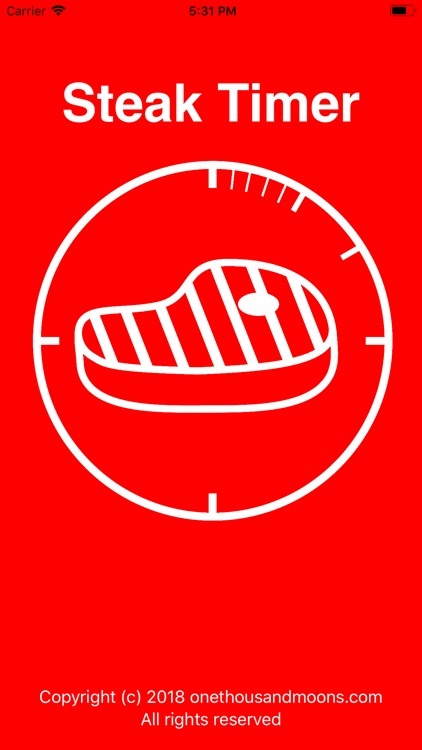 At last, a beautiful iOS timer designed specifically for cooking steaks. 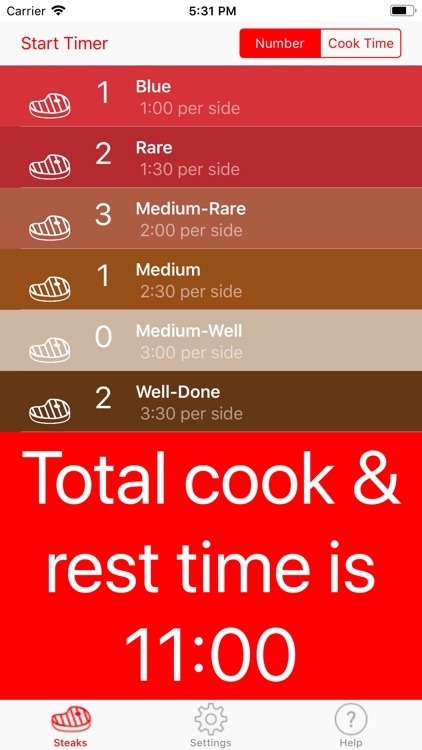 Steak Timer does all the hard work, even if your guests want a mixture of rare, medium, well-done etc, leaving you to enjoy cooking. 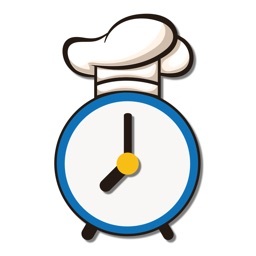 Simply select the number and types of steaks, select the cook time for each steak and then start the timer! 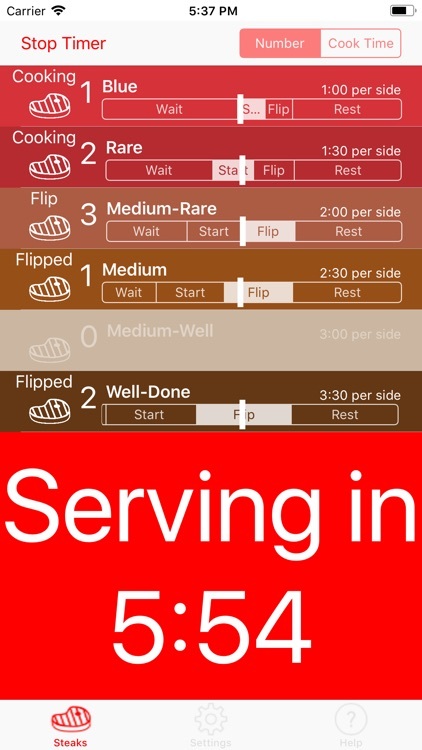 You are automatically told when to start, flip, rest and serve. 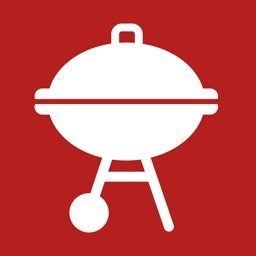 No-hassle cooking has reached the iPhone. 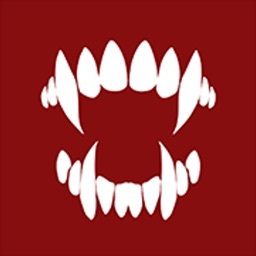 Works with Notifications even if the app is in the background or your screen is turned off. 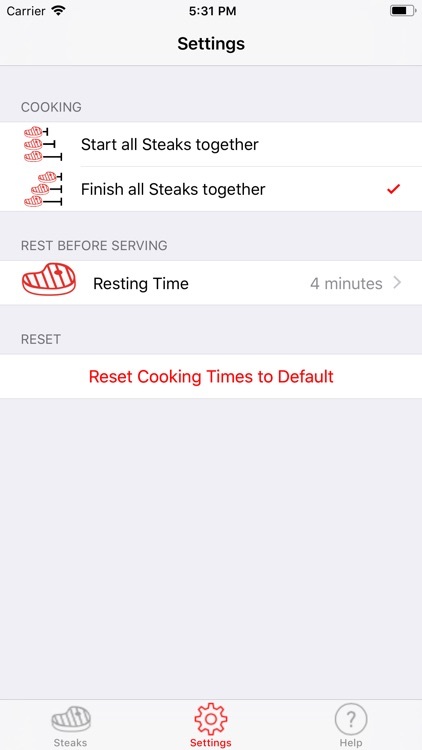 The in-app tutorial gives buying, preparation and cooking tips, plus suggested cooking times for different steaks. Developed in association with Charlotte's Butchery in Newcastle upon Tyne, UK www.charlottesbutchery.blogspot.com. 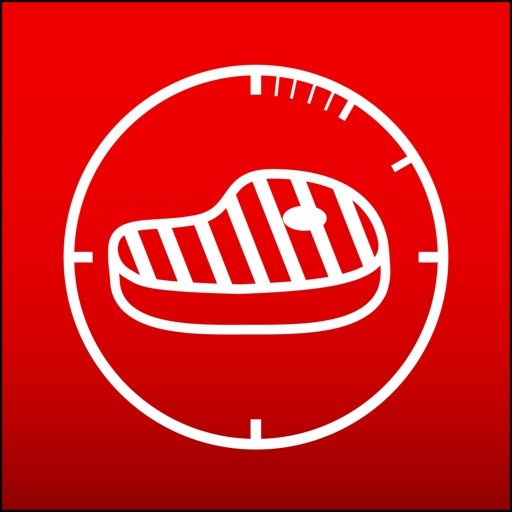 The app is designed to give you the confidence to cook steaks and become a master! Relax and cook perfect steaks! 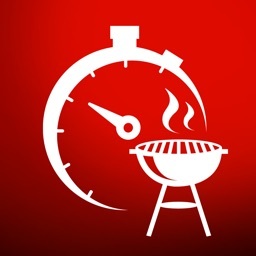 If you have any suggestions for enhancements to the Steak Timer, visit the developer's website.